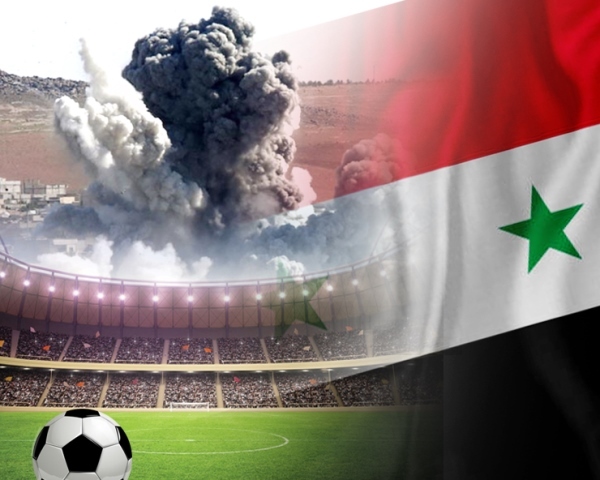 Damacus: The Syrian national football team is prepared to participate in the upcoming 2019 AFC Asian Cup, which will be the first participation of the team since 2011, the year when the war started in Syria. The national team has so far been qualified five times for the AFC Asian Cup, the latest of which was in 2011 when the war broke out in Syria.In 2015, the team didn't participate in the tournament but in January of 2019, the team will take part in Group B of the Asian Cup, which includes Palestine, Jordan, and Australia. The Asian Cup will be held in the United Arab Emirates (UAE) from Jan 5 to Feb 1, 2019.The team's coach is Bernd Stange, a veteran German coach who took charge of the Syrian national team earlier this year. During the internal training of the team in the Fayha Stadium in Damascus, Stange told Xinhua that he is optimistic about the participation in the Asian Cup. "We are leaving Damascus on Monday morning and we are very confident as you can see we are in a good mood and well prepared for the Asian Cup," he told Xinhua. "Also, we are going there to take something and to have a class performance for our fans here in Syria, that is the most important thing," he said.Emad al-Amiri, the media coordinator of the Syrian team, told Xinhua that the Syrian team ranks the sixth in the Asian Cup after five teams, which were qualified to the 2018 World Cup in Russia. "This puts more responsibility on us to make an achievement in the Asian Cup so that we could succeed to qualify for the second round of the tournament, which we haven't done before," he said. "Our fans want to see the team in the golden square and even competing for the Asian Cup. But to be honest, everyone is working hard because the Asian Cup is a very difficult tournament," he added. At the Fayha Stadium, football fans showed up to farewell the Syrian team and to watch the final training in the country. "The Asian Cup for Syria," they chanted while hailing their favorite players by name and rushing to take selfies with them before they took to the seats to let the players get trained. The audience also sent fireworks in the sky as part of their celebration for the Syrian team's participation in the Asian Cup.